featuring jewelry made of hand-painted silk, gilded plastics and pearls. In this work Ulehla explores copies and multiples while embracing subtle differences that occur during the production process. Working in several series, Ulehla creates jewelry that explores concepts rooted in natural science. Species classification, reproduction, and hybridization, while not over-obvious, inform her pieces. 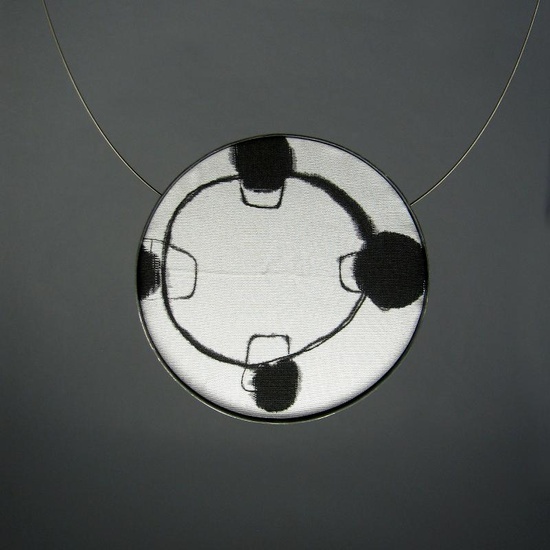 The jewelry is composed of autonomous visual units of varying sizes such as hand painted silk framed in darkened silver or plastic tubing lined with gold. These units are either used to make a piece of pure repetition or are merged to make a variety of hybrid compositions. The effect is a logical yet unusually beautiful body of jewelry. Since earning her BA in drawing and painting from Stanford University, Ulehla has mastered the arts of marionette making, puppeteering and fine art jewelry. 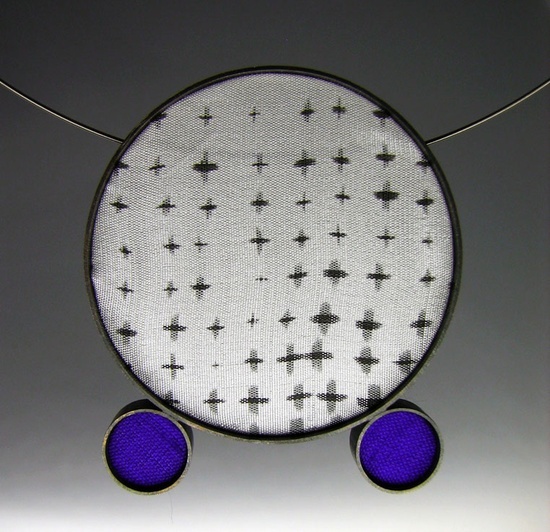 Her focus on studio jewelry in recent years has earned her an invitation to the prestigious Philadelphia Museum of Art Craft Show in, Philadelphia, PA and The Smithsonian Craft Show in Washington D.C.